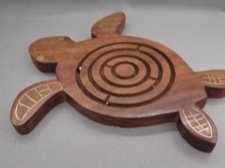 Handcrafted with exacting precision - this wonderful sea turtle labyrinth is a store favorite. Made from ethically sourced Indian Rosewood, it has brass inlaid details. 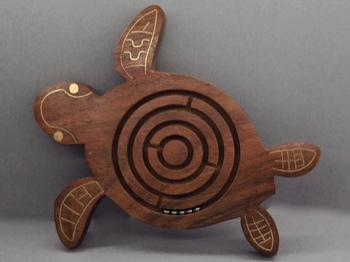 This flat turtle is 6.5 inches long, 5.75 inches wide, and 1/2 inch high. 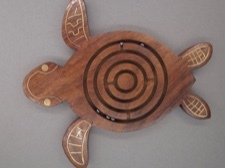 Fair Trade strives to provide longterm incomes by employing traditional, regional artists, while using locally sourced materials, and connecting these products to global markets. One Love, One World.